The quality and consumer satisfaction are the most important for us and for this reason each offer is tailor-made. Trips for organized groups, companies and families. The offer focuses on the most interesting local activities.  Knowing how long you want to stay and which attractions you would like to try, At Lapland builds up a program and organizes everything. A trip dedicated to a smaller group of 4-7 persons who have desire for adrenaline and adventures. It’s a few day unforgettable expedition on Snow Mobiles around Lapland. Definitely it is adventure of a lifetime.